At HECA, WE HEAR IT ALL. Every one of our independent educational consultants knows that the discussion of the application essay can lead to deeper, more complicated conversations. As we help students clarify what they want from their college education we listen and we learn. 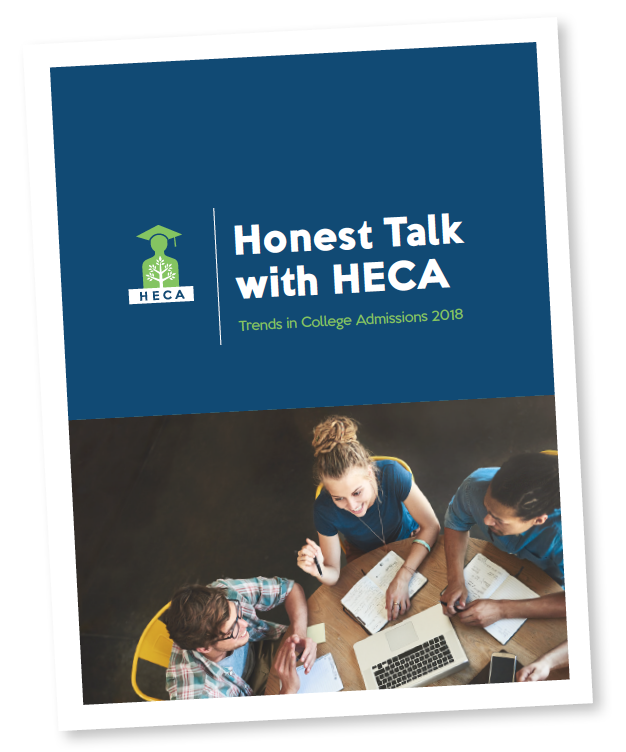 It’s time for an honest talk with HECA. As members of a volunteer-driven professional association, HECA IECs are committed to ethical practices and access to higher education for all types of students. As a group they seek to continually develop their knowledge through professional development and college visits. They welcome open communication with college admissions offices and high school counselors. in local groups throughout the United States. Showcase your college and share what sets you apart with a HECA college tour or event. Meet our membership and join the discussions that shape the future of our field.